The latest entrant in the race for the GOP presidential nomination is South Carolina Sen. Lindsey Graham, who announced his White House bid on Monday. With 13 years of experience in Congress, the senator said he is seeking the presidency because "the world is falling apart." While Graham is considered a very long shot, with polls barely registering him as a candidate, he is among the more moderate Republicans in the race, which now has nine people seeking the nomination. But Lindsey Graham's stance on marijuana has been a little all over the place, even as the issue of legal weed grows in importance in his home state. First of all, Graham does not support legalizing "for recreational purposes," he told WBTV in Charlotte, North Carolina, last year. But he isn't against legalizing weed for medicinal uses, saying he doesn't want to be "academic in thought." He made the comments when speaking about a case in South Carolina involving a family who sought to use cannabis oil to treat their young daughter's seizures. Cannabis oil was legalized for some medical treatments in South Carolina last year, according to The Greenville News. This is about people. This is about families with sick children. Why should someone in my position get in the way of helping a child, if you can reasonably and logically do it? But Graham's medical marijuana stance is also pretty circumstantial. Graham recently voted against a piece of legislation called the Veterans Equal Access Amendment, which according to The Huffington Post, would increase veterans' access to medical marijuana. Under the rule, which was part of an appropriations bill, doctors at the Department of Veterans Affairs would be allowed to recommend medical marijuana to their patients. 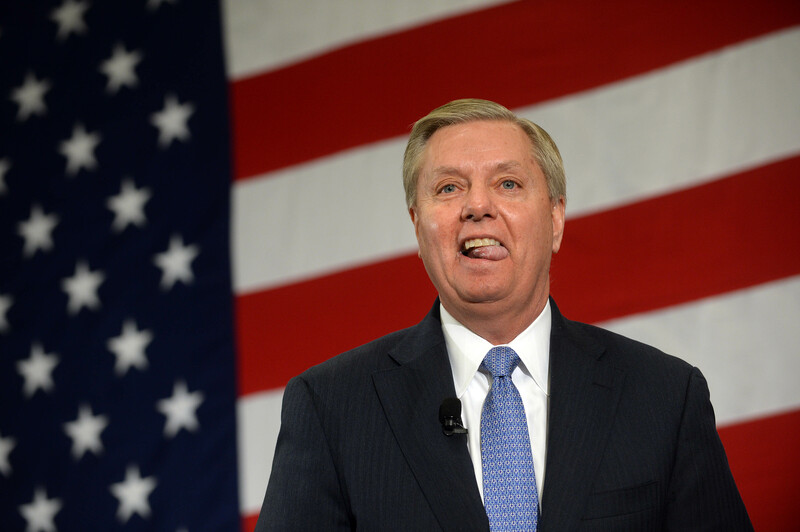 Of all the issues, weed doesn't appear to be a high priority for Graham. When asked last year whether he would oppose Washington's decision to legalize marijuana, Graham told The Washington Post the issue wasn't really on his radar. "To be honest, that’s pretty far down my list of priorities," he said. During his campaign announcement, Graham proudly touted his experience in foreign policy as his biggest asset, and his resume does bear that out. He served six years as an active-duty lawyer in the Air Force, and has served more than 30 years in the Air Force Reserve. Despite representing the largely conservative South Carolina, Graham also is fairly moderate on immigration reform, saying the Republican Party hurt its efforts among Hispanic voters. South Carolina legislators recently voted to postpone action on a bill that would legalize medical marijuana in the state, and it's unlikely to be revived in the current session of the legislature. So it will be interesting to see if Graham makes the issue of legalized marijuana a bigger part of his campaign, or keeps his focus on other matters.